Hello! I'm looking for voice actors (male and female) to help me bring life to an array of a characters for a new project called Calmer Chameleons. 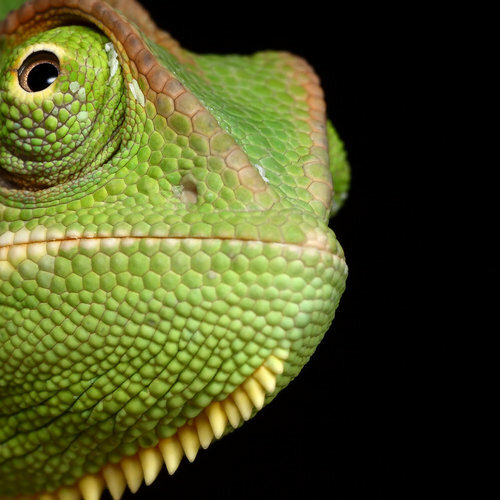 Calmer Chameleons is a comedy podcast which features a large variety of characters and situations. There is no real agenda other than to entertain the listener. Because of the fast-paced comedic nature of the show, there will be multiple opportunities for voice actors to get involved and showcase their talents! I am the chief writer for the podcast, and as such, I have a mountain of scripts that are just begging for a voice. I would be interested to hear from you if you feel that you can bring any of these sketches and characters to life in an entertaining way. WHY THE NAME CALMER CHAMELEONS? In all honesty, I just felt it was a funny pun. However, if you sit down and analyse it, as the podcast has little to no continuity, the nature of the show tends to change it's colours from sketch to sketch, Okay, I'm reaching, but that's the name and that's what we're sticking with! WHERE CAN I LISTEN TO CALMER CHAMELEONS? The first episode of the podcast is scheduled to go live in April, so you can't listen to it right now. I have enough material to launch the first two episodes, but I'm looking to line up some voice actors and collaborators ahead of time and get a number of episodes under our belts before launch. IS THIS A PAID PROJECT? While I would love nothing more than to pay people fairly, it's just not something I can do right now. The podcast has not started yet, but once it gains a bit of steam, I'm hoping to monetise through Patreon. If this takes off, I'll be able to afford to pay people or offer back payments for regular contributors. I hope this doesn't put you off applying. WHY SHOULD I APPLY IF IT IS UNPAID? That's a justified question. My hope is that Calmer Chameleons will help aspiring or amateur voice actors get a body of work under their belts. You'll be able to use these clips as part of showreels and auditions for other work. It shouldn't be a huge time-investment on your part either, as you will generally be performing short sketches. At this moment in time, anything. I have a variety of characters from all genders, races and ages. As a guide I have included some sample roles below that I'm keen to pair up with the right voice actor. Even if the ones below do not sound up your alley, get in touch anyway. Your voice could be exactly what I'm looking for in future! If you are specifically interested in one of the roles below, then you can audition through the site as usual. However, you can also contact me at [redacted]. Just send me an MP3, link to Soundcloud or Dropbox/Google Drive with your files on and I'll get back to you as soon as I can. Any further questions, get in touch via the same email address. This would be a short series of sketches (5 or 6 episodes worth). I'm looking for a narrator that has a kid's TV quality to their voice (I'm thinking 70's British TV, but open to any submissions really). The Narrator speaks to the titular Noomies (think Moomins) who, rather than being the delightful fairy tale characters they appear, actually run a drug cartel. Over the course of the series, the narrator will muscle in on their business and each episode will tell a tale of their gangsta lifestyle. Down at the bottom of the garden, in amongst the shrubberies, you may see something unusual; magical even. Visible only by the light of the moon, you may see, The Noomies! Why, I think I can see them now. Say hello, Noomies! What’s that Little Noomie? Big Noomie has been injecting heroin into his urethra? What do you have to say for yourself Big Noomie!? That’s right Big Noomie. Today we’ve learned that things always go a little smoother if we just learn to share. Goodnight Noomies! I need someone with a soothing, soft voice for a parody ASMR sketch. The idea is that, while supposedly being a soothing audio experience, the actual content is quite stressful for the listener, describing awkward and horrible situations. Open to this being a male or female voice as it could work either way. Hello, my name is Simon/Simone, and I’m here to tell you about A S M R, or as us pros call it, Azthmer. It describes the tingling feeling you’re getting from hearing my unique, soft, gentle voice. It can also be achieved by listening to tender touches on particular surfaces, such as tapping the lid of your grandma’s coffin. Azthmer is an analgesic of audio origin; a perfect antidote to the hectic and chaotic lives that we all experience. It’s a safe space where the stresses of your daily life can be washed away, like a urinal cake sliding to the end of the trough. Jim Carlton is a chat show host that pretends to interview guests, but the show is really just a vehicle for the host to tell jokes and perform light entertainment skits. Guests are invited solely to draw in audiences and sit around looking pretty, so Jim will interrupt his guest constantly with asinine comments and quips. Hello and welcome to the final part of the Jim Carlton Interview Hour! It’s time for us to welcome our next guest, and it’s such a great honour to have her here with us tonight! She’s known as the country’s most successful female sports personality, leading the women’s football team to world cup glory this year! Ladies and gentlemen, please welcome, Rebecca Nicholls! It is such a privilege to have you on my sofa! I have so many questions to ask you that’s it’s difficult to know where to begin! So, who were your biggest female sporting icons? ...Is what I will be asking you shortly, but first, we have a segment where we read out Tweets from the audience! Danni is hosting a corporate seminar on customer service. While doing roleplays with the staff, Danni takes the roleplaying idea a bit too far by bringing in elements from roleplaying games such as Dungeons and Dragons, trying to shoehorn it into the seminar. Nice to meet you, I’m Danni. So, have you done any sort of roleplay before? roll your D-20 to find out if it hits you! Cutlet Chris has a business selling cutlets of meat to people. Unfortunately, Cutlet Chris is also rather too fond of his cutlets, and quickly gets aggressive if people don't want them. issue of sourcing your own cutlets! wipe my cutlets all over your windscreen.